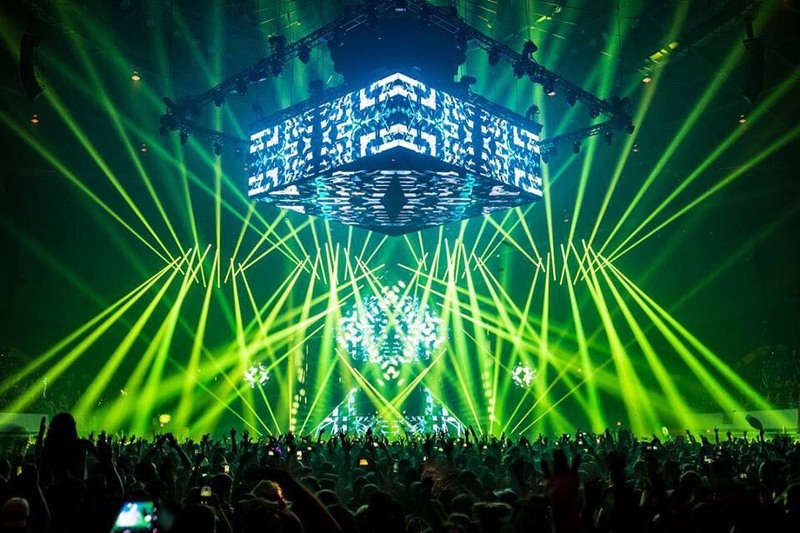 Hampton, Virginia — Bassnectar relied on PK Sound for the second year in a row for his annual flagship autumn gathering: Bass Center XI — Return to the Mothership. Fans flocked to the Hampton Coliseum in Virginia on Labor Day weekend for the DJ's final seasonal event of 2018 which was headlined by Bassnectar on both nights with additional performances by Noisa, Barclay Crenshaw, Stylust, Hatcha, Ill-esha and Ana Sia. 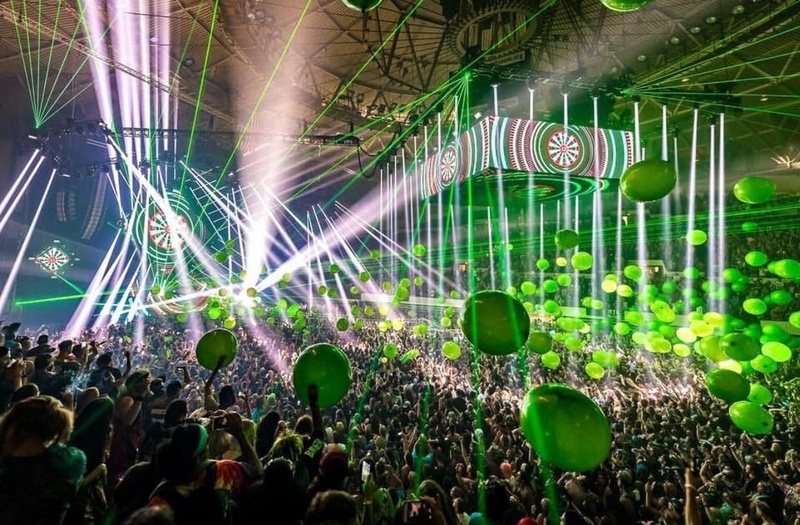 Bassnectar’s choice of PK Sound to transport fans aboard the “Interdimensional Adventure Ship” with an immersive floor to ceiling sonic experience was key to the event’s success. Cormack and Pace started with 16 Trinity Advanced Robotic Line Array boxes per side for the main hangs, which were set to a full 270-degree pattern, with the sound field in the top three boxes narrowed for longer throw to help the mids and highs reach the top bleachers. 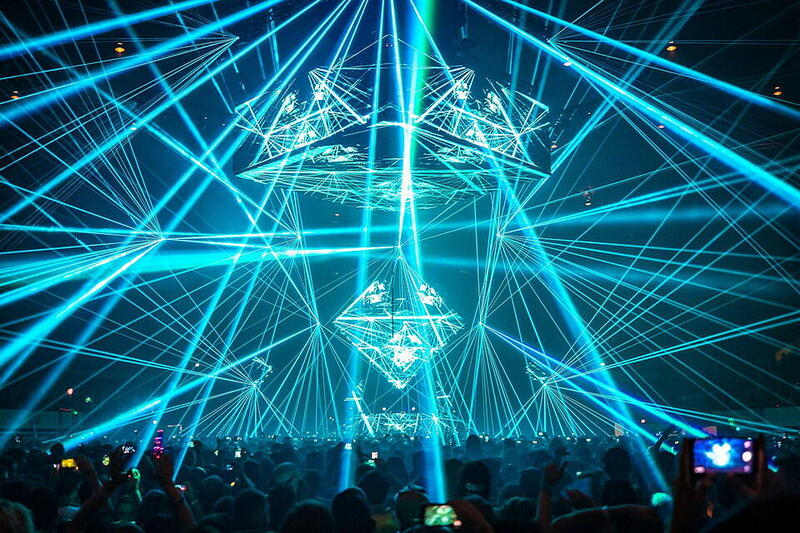 In addition, they included outfills of six Trinity boxes per side to cover the space directly right and left of the stage, with the sound field carved toward the audience to avoid unwanted reflections. Evaluating the room before the event, both Cormack and Pace noticed bass traps in the furthest bleachers. “We spent about 16 hours making adjustments and going through frequency ranges, just seeing how they travel through the venue,” Pace said, “and we were getting a lot of 2 kHz dropping off at 200 feet out, which can make the sound muddy, because you can't hear the highs.” To solve the problem, they flew 32 VX10 Compact Line Array boxes across five house delay hangs in an arc around the bowl to provide the intended mid- to high-frequency sparkle for every seat in the house. 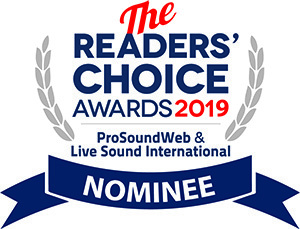 VOTE FOR THE TRINITY 10 IN THIS YEARS READERS CHOICE AWARDS, BROUGHT TO YOU BY PROSOUNDWEB. next post: Can your line array do this?